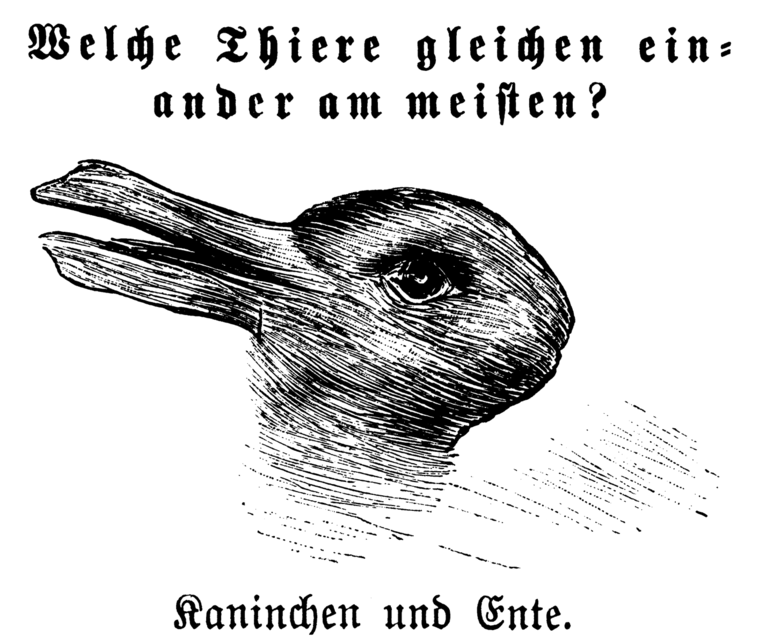 This week’s pick is an interesting twist on the Rabbit-Duck illusion, presented in the German magazine Fliegende Blätter in 1892. 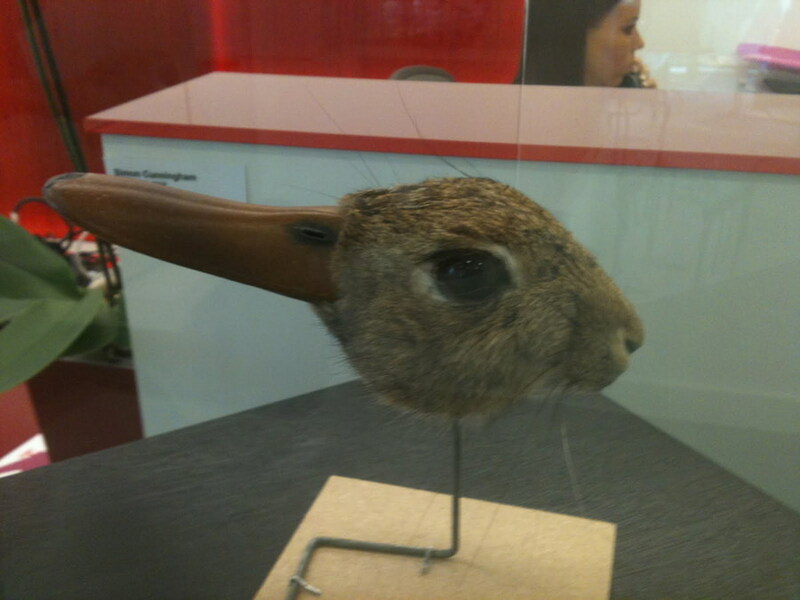 I haven’t been able to locate the precise source, but here’s how you make a rabbit-duck in real life (death?) with a little help from taxidermy. Also, check the Duck! Rabbit! animation of Amy Krause Rosenthal’s children’s book, and John F. Kihlstrom discussion of the history of the Rabbit-Duck illusion.